Impressively, given the global academic renown that the university has captured, Duke University may be best known for their men’s basketball team. The Blue Devils have won four NCAA championships and over 20 ACC tournaments and produced dozens of All Americans and nine national players of the year, all in addition to having a hall of fame coach in Mike Krzyzewski. You can see the trophies, the memorabilia, the videos, and more behind this storied history at the Duke Basketball Museum. 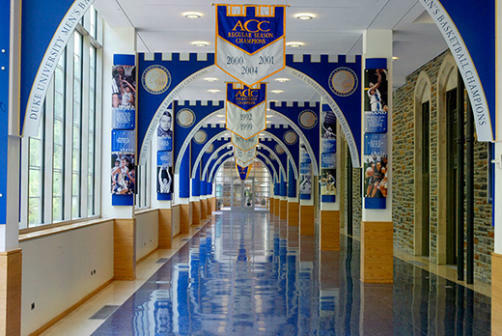 Duke also has many other athletic success stories that are showcased in the connected Duke Sports Hall of Fame, celebrating all 26 athletic teams and the combined 13 national championships these stars helped win.